Debra Meadows of Lice Doctors uses a regimen of olive oil that suffocates the bugs, rather than poisons them, which, she says, doesn't always kill the eggs, or nits. Many students return from summer vacation ready to share what’s been on their minds. Sometimes, in a literal sense. He suspects he got them from his 2-year-old brother, who may have picked them up at daycare. His own discovery came during class. “She said it was gross,” he said. Lice outlived the Roman Empire. They’re still thriving. 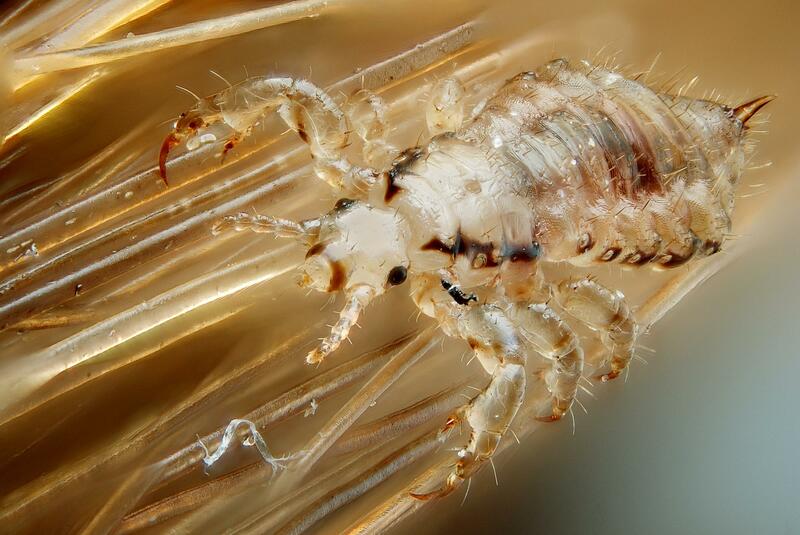 A study from Iowa University says there are even “super lice” resistant to most delousing products. This is why some people seek out natural or non-chemical remedies. One national service, called Lice Doctors, offers just that. Debra Meadows is their Memphis associate. “Most of the people we visit have a counter full of the shampoos and the prescriptions,” she said while clipping a towel around the toddler’s neck. “The parents are so frantic by the time I get there and they are so tired." Her service is more expensive than over-the-counter lice treatments, but the work is guaranteed. The first step is to drench the heads in olive oil. Then, the bad news. She uses clips to section the unusually patient 2-year-old’s hair. Her fingers sound like a non-soapy shampoo as she scrubs, then pours more oil into the hair. After that comes the nit-picking, literally pulling out the eggs with a fine-toothed comb. She removes the adults, too, which are about the size of a sesame seed. Her company doesn't use chemicals or unnatural substances, just cheap olive oil. She says that some products kill the adults, but not the eggs. Her clients want her visit to be discreet. Can you come at night? Is there a sign on your vehicle? As with cockroaches, people don’t want others to know their homes are infested with lice. Most of Meadows' clients are white and attend elite private schools. African-Americans aren’t as likely to get head lice because they use more styling products in their hair, which act as a deterrent, even in white people’s hair. Lice are considered pests, but they don’t spread disease. Meadows offers some advice to keep children from getting head lice. It’s also not a good idea to touch heads when taking pictures with friends. A louse can creep from one head to another… faster than a shutter. The best prevention is to keep your hair artificially dirty. That means using products such as hair spray, gel or mousse, the stuff that lice don’t like. Easier for some than others. “I don’t need to keep it artificially dirty because it’s always just…dirty,” the 9-year-old chimes in. Meadows offers a suggestion to stop the annual lice invasion in schools. “If policy was that everybody slept in olive oil for 21 days before school started, you wouldn’t have head lice,” she said. Twenty-one days sleeping in olive oil? That idea might leave some policymakers scratching their heads.